Upside-down unicorns under an ultramarine umbrella. 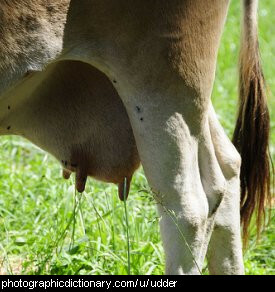 An udder is the part of the female cow or goat that milk comes from. Baby cows or goats drink from their mother's udder, but people also collect the milk using machines so they can sell it in shops. UFO stands for unidentified flying object. 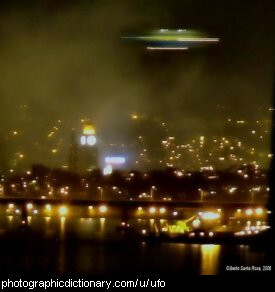 Usually when people say UFO or flying saucer they mean a visiting alien spaceship. Most UFO sightings are eventually identified to be something ordinary, like a weather balloon, an ordinary airplane or a strange cloud. Something or someone is ugly if they make you feel bad when you look at them. 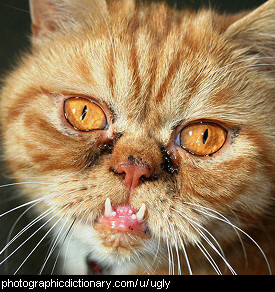 The opposite of ugly is beautiful. 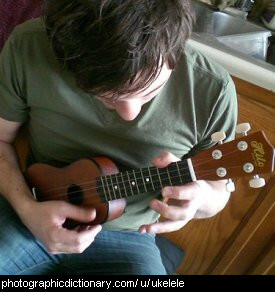 A ukelele is a small, four-stringed member of the guitar family. Ukuleles come in four sizes: soprano, concert, tenor, and baritone. They can be played by plucking or strumming them. An ultrasound is a medical scan that uses soundwaves to "see" what is happening inside you. 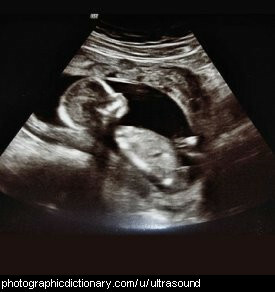 Ultrasounds are most often used to look at unborn babies while they are developing. 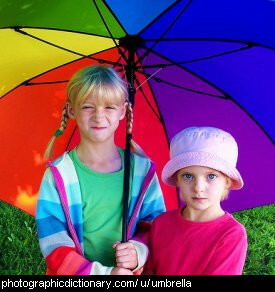 An umbrella is a portable shelter that is used for keeping off the rain. 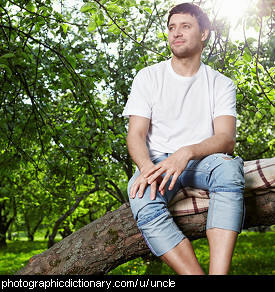 Some people also use umbrellas to shelter them from the sun. Small umbrellas that are mainly for keeping off the sun are called parasols. Your uncle is the brother of your mother or father. Uncommon means rare, strange or unusual. Uncommon is the opposite of common. 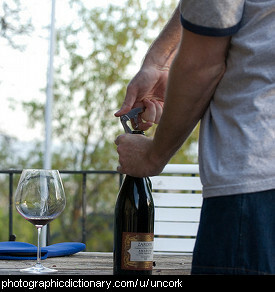 You uncork a bottle by removing the cork, usually with a corkscrew. Something is under something else if it is lower than it. 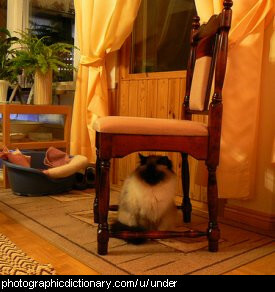 This cat is under the chair. The opposite of under is over.